Most readers will find it hard to believe that a vast majority of employers are costing themselves millions of dollars every year. That is to say that they are totally on board with conventional medicine's approach to addressing our crisis of chronic disease with the latest and greatest prescription medications. Never mind that most of these medications have no, or very little, science to support their use, and in many cases cause more harm than good. Just look at the many pages of warnings that follow every ad for a medication in any magazine. Let's look at some statistical proof. Dr. Mark Hyman stated recently at a medical conference that over 80 percent of all chronic disease is preventable, and yet our health care system spends only 5 percent of every dollar on prevention. Dr. Hyman made the following statement to a US Senate Hearing in 2009. "You will not solve the current healthcare crisis if you just try to do the wrong things better." The logical next question might be, "what are employer's options if they are not going to promote conventional medicine's treatment of symptoms with drugs or surgery?" The answer is natural or functional medicine where there is scientific evidence of the ability to prevent and reverse most chronic diseases. Dr. Michael Murray states that for most illnesses, natural or functional medicine has more evidence-based solutions than conventional/allopathic medicine. This evidence can be found in all of the peer reviewed medical journals available to every doctor. By comparison, the current rate of diabetes is about 8.7 percent with another 25-35 percent of population being pre-diabetic. The typical health insurance broker, in cooperation with most health insurance companies, uses the AIC test to determine if an employee is diabetic, and then supports the use of drugs, such as Metformin, to manage or control this disease. Unfortunately, the management of diabetes does not totally reduce the risk of heart disease, blindness or amputations. The AIC test is the wrong test because progressive doctors know that the Glucose Tolerance Test can identify potential diabetic cases 5 to 7 years before the AIC test can. Also, it has been well documented that finding these cases early can allow employees to reverse their diabetic condition over 90 percent of the time. This dependence on the wrong test and the wrong treatment is costing employees and employers untold millions or even billions of dollars every year. The National Institutes of Health did a comparison recently between Metforimin and diet with exercise to see which one would prevent pre-diabetics from advancing to full diabetes. Diet and exercise prevented 58 percent of patients while Metforimin only prevented 31 percent from advancing. Diet and exercise was nearly twice as effective. The following case study illustrates how your health insurance broker and health insurer could be costing you hundreds of thousands of dollars or even millions, depending on how many employees you have. This projected cost is conservative and is not adjusted for inflation. This means that the possible increase in ten years could by as much as $2,000,000, or double the existing cost.Company T. with the concurrence of their broker and their health insurance company, is making an effort to educate employees about the importance of losing weight and exercising. However, the approach they are using has not been successful when used by other employees, because it is not based on the best science, offers very few incentives and relies too heavily on prescription medications to manage diabetes. The management of diabetes still leads to serious health problems for employees, such as heart attacks, blindness and amputations. If Company T decided, instead, to use the scientifically proven protocol to reverse diabetes, combined with good incentives, they could actually begin to reverse this dangerous and costly trend. There are 150 diabetic or pre-diabetic employees currently and United Healthcare estimates that about 90 percent of them would be interested in not being diabetic. If only 50 percent of these employees were able to reverse their diabetes, this would mean an immediate savings of nearly $1,000,000 or over half of the existing cost. In this case, by not using the best science and good incentives, the broker and health insurance company may be causing Company T to pay at least $1 million a year more than they should be paying. Isn't it time to consider finding a better broker, and if so, what would that better broker look like? There are many criteria for determining the best broker for your company, but here are a few for making sure they are tuned into the need for and application of the preferred natural/functional medical approach. Comprehensive Wellness Program - Health insurance brokers should have a comprehensive wellness program with everything from the most preferred analytics to the best functional medical doctors and educators. Natural/Functional Approach - Brokers should have a wide range of resources for the prevention and reversal of chronic disease. This should include educators, practitioners, printed materials, electronic resources and training programs, all of which are functional health and wellness partners. Cooperation Model - A progressive broker will have a cooperation model that describes how all health educators and practitioners coordinate their efforts. They should also have a measurement system to monitor how well everyone is working together, along with tools and techniques for improving any areas not performing up to par. Cultural Assessment - The good brokers will have a high quality assessment tool to measure an organization's culture to ensure there is a true state of readiness to develop and utilize a state of the art wellness program. Financial Support - The best brokers will support your wellness efforts with financial incentives. By subsidizing best practice webinars, workshops, printed materials and other wellness initiatives, they help employers to keep moving forward in their efforts to improve employee health. Educational Services - All brokers should be educators. In addition to providing information on a wide range of employee benefits, brokers should offer or provide access to training in the delivery of wellness programs, education on how to improve organizational effectiveness and culture as well as education on the improvement of employee lifestyles, including a major component on nutrition. Outcome Measurement - All brokers should assist their clients in the measurement of health outcomes, including the calculation of Return on Investment for all health and wellness programs. Health and Wellness Customization - Brokers should not only provide generic health and wellness services, they should customize these services by analyzing the health status of all employees using the most advanced health assessment tools. Many current blood tests are not very effective. For example, C-reactive protein is a better test than cholesterol for the risk of heart disease. The glucose tolerance test is better than AIC for Type 2 diabetes and thermography is better than mammography for the detection of potential breast cancer cells. If health insurance will not pay for these "better" tests, then the broker should encourage their use by subsidizing them. 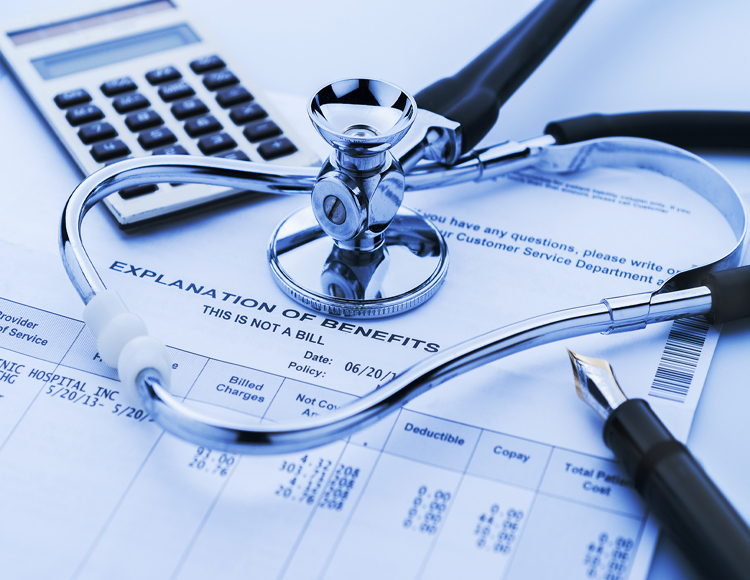 The payback in reduced healthcare costs will far exceed the extra cost. Insurance Support - The fully engaged and progressive health insurance broker will ensure that the health insurance company hired by the employer is engaged on a self-funded basis to give the employer the optimum opportunity to make decisions regarding employee health. Also, the health insurance company selected should have services and programs that support the strategic wellness plan developed by the employee. Wellness Audit and Plan - The broker should have a robust and functional medicine-based wellness audit tool so they can help their clients to evaluate their existing wellness programs accurately. This tool can also be instrumental in the development of a high quality wellness strategic plan. Every employer has the responsibility to select the absolutely best health insurance broker they can find. If they do not then they are destined to pay much higher premiums for health insurance caused by too many employees being chronically ill.
By not utilizing best practice evidence-based medicine, they are putting their employees at risk and eroding their bottom line. This reckless behavior could cause many employers to cut salaries and benefits or even go out of business. Perhaps the selection of your health insurance broker should be given a much higher priority. Medical Guesswork, John Carey, May 29, 2006, P. 72. Business Week Magazine. Journal of the American Medical Association, 1998; 279: 1200-12505. Also in WebMD News, by Bill Hendrick, reviewed by Laura J. Martin, M.D., Feb. 28, 2011. The Natural Pharmacy, Alan Gaby, M.D., Editor, Healthnotes, Three Rivers Press. New York, 2006. Cleveland Clinic Gets "Functional", Erik Goldman, Holistic Primary Care, Vol.15: No.3, p. 1, Fall 2014. Charles K. Bens, Ph.D. is a wellness consultant with his company Healthy at Work in Sarasota, Florida. He works with progressive brokers and employers to help employees prevent and reverse chronic disease with evidence-based educational programs. He has written nine books, over 200 articles and three university courses. He is one of the highest rated health speakers for Vistage International, the largest CEO organization in the world and was recently named the Vail Visiting Professor for the Ottawa Regional Cancer Foundation.